This state of the art facility was built by Hart Boersma Construction in 2015. 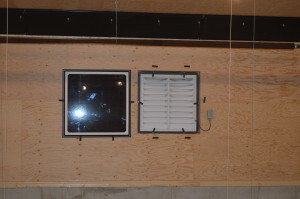 For years Hart has built a reputation in the housing and construction industry by paying attention to the small details that give the whole project a high quality finish. So when it came to his own poultry facility there was no exceptions as much thought and planning was put into the design & layout. 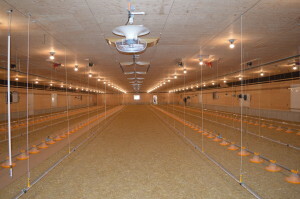 This barn breaks the mold of a typical broiler barn as the ventilation was designed to provide the best climate possible for the bird. 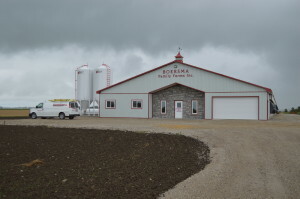 Although it was considerably more money the Boersma’s decided to install a hot water heating system from AirTech Heating & Cooling which will run more efficiently than typical barn heaters. 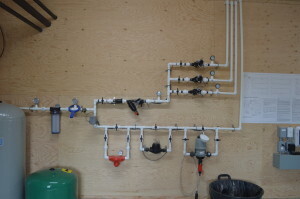 As well there is no CO2 produced in the barn from this system so the climate is dry & fresh. Minimum ventilation is carried out by Exacon heat exchangers and TPI ceiling inlets. 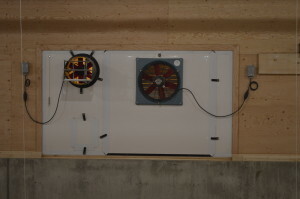 The electrical wiring is installed in the attic of the facility (by Unitec Electrical Contracting) which leaves the ceiling free of obstructions resulting in an excellent airflow pattern even with minimal static pressure. Climate is controlled by a Genius iTouch controller that can be accessed remotely from anywhere in the world. 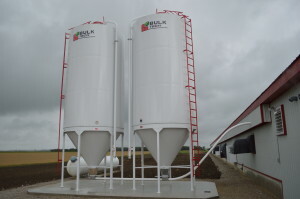 Feed is stored in BulkTech powdercoated bins and distributed to the birds by Landmeco pan feeders. Drinkers are Lubing Optigrow which are designed specifically for broilers. Everything about this barn is designed to run efficiently and look good doing it. 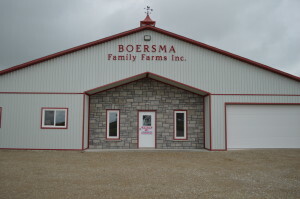 Countyline would like to thank the Boersma’s for choosing Countyline to look after their equipment on this project.